Now, this is a perfectly valid piece of information that might be of interest to a resident of Coquitlam. But it points to a larger issue that I can’t figure out how to solve. There are some days where I want to scream from the rooftops – ARCHIVES ARE NOT GOOGLE! But obviously, I don’t. Maybe I could hire a sky writer? My frustration lies in the fact that, realistically, this is NOT the researcher’s fault. It’s also not Google’s fault for making powerful search algorithms that attempt to mimic natural human interactions. I love that I can ask Google a question in an interrogative form and it will bring me an answer (albeit not always an accurate one) in mere milliseconds. Is it our fault as archivists? As archival software developers? I don’t think so either. There is no blame here, really. The situation just is. 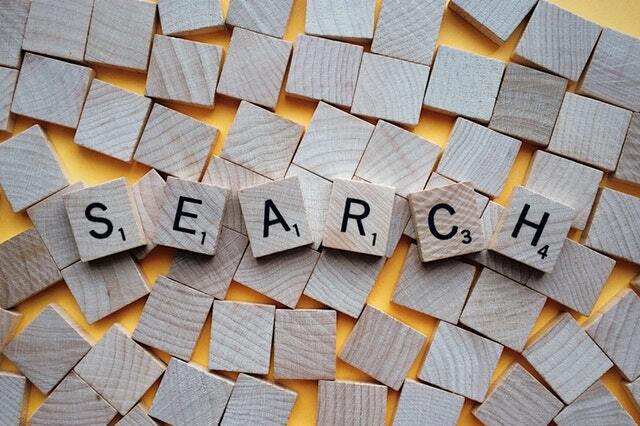 Searching in Google for information is simply different from searching in an online archival catalogue for records. Records require you to work in order to find the information you are looking for. The issue is that Google has made finding information too easy. Search engines are doing the work for you. The City of Vancouver Archives offers helpful tips in an About Searching section on their AtoM search portal. There is very helpful stuff in this tutorial, but I wonder how many users actually take advantage of this assistance. The UK National Archives provides some detailed notes on how to search for archival records using their Discovery platform. The City of Victoria Archives has taken this a step further by providing a helpful video that provides an introduction to the archives’ online search. I would be really interested to know what kind of viewer statistics they have gathered on this video. Are people watching it? I applaud the archives that are providing extensive online search help, but this does not really address the larger question of records vs. information. Given that the vast majority of people have no idea what an archives is, how can we possibly hope to reach people to help them understand the distinction between records and information? This is what I find so frustrating. How can I explain this distinction to my researchers and to the wider public? In order to facilitate access in the way that Google has made ubiquitous, archivists would need to digitize their entire collection and index it word for word. This simply isn’t possible. Much of what we hold is handwritten, making OCR incredibly difficult, though admittedly, no longer totally impossible (and apparently referred to as ICR – Intelligent Character Recognition). However, we would have to digitize and OCR/ICR until the end of time. No one has the resources for that. There has to be another way. I would love to come up with a way of reaching out to researchers to help them find answers to their questions. That’s my job and I hope more people will take advantage of the reference services I provide. However, people have to know to ask. They have to have the skills required to unpack their question and seek the best records to answer it. I think the solution starts with building information literacy in schools. Get ’em while their young, as they say. According to the American Library Association, Information literacy is a set of abilities requiring individuals to “recognize when information is needed and have the ability to locate, evaluate, and use effectively the needed information.” This used to be a skill that people had, or at least understood the basics of. It’s crazy to me that I have university students coming to the archives who do not possess these basic skills and have no understanding of primary sources. Where do people think information comes from?! Books don’t just spontaneously appear on shelves. Writers don’t just magically know what they know. They learned how to find the source material and mine it for content that answered their questions. There isn’t much scholarly writing on this topic yet and few archives actually have the resources to create programs to promote archival literacy. I have been putting some thoughts and project ideas together in the hopes of working with the local school board. I am hoping this can be an ongoing collaborative project, but it can be tough to engage teachers when they are already so overloaded. In the meantime, I was encouraged to find a few videos that addressed this topic. Good on Melissa Peña, current MAS student at Clayton State University, for posting this video tutorial about archival literacy. Let’s hope it gets more than the current 6 views. It’s an important message! This knowledge and these research skills need to be reinforced, especially with students who have grown up in the Google-dominated information landscape. We need to be teaching people how to effectively search for records that will contain the information they are searching for. It may not be instantaneous like Google, but it’s worth the effort! Any great ideas out there? I would love to hear about ways you have found to help researchers search your collection more effectively. Drop me a line here.